Jon Hamm became a household name for starring as Don Draper on AMC’s prestige show Mad Men, which is almost over. And it was his role as Draper that prevented him from becoming an even bigger household name, by not starring in last year’s David Finch directed thriller Gone Girl. That and the fact he&apos;s passed up major superhero roles, but no big deal. 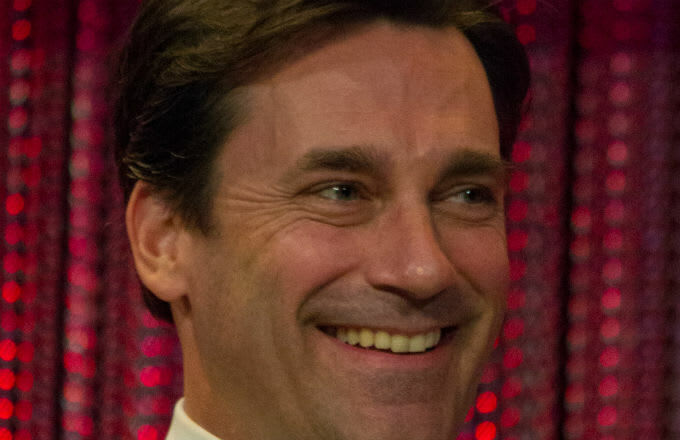 According to reports, Hamm was apparently a serious contender for the role that Batman Ben Affleck ultimately played, but his Mad Men contract got in the way. Other reports say that Hamm’s schedule didn’t allow for the film. Either way, it’s a missed opportunity that could’ve earned him some well-deserved awards he’s been previously robbed of. Post Mad Men, you can watch Hamm in Netflix’s Wet Hot American Summer series.